Apologies for the slight hiatus in updates from Exeter’s Library’s special collections, we have had a few unwelcome storage issues to contend with here. 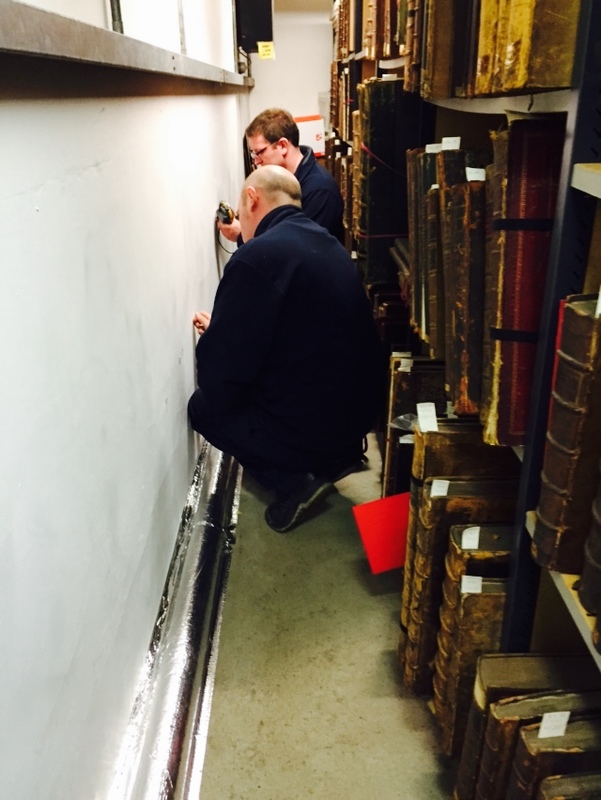 Planning for the move of our rare books and manuscripts to their new home in Cohen Quad (Walton Street) was proceeding well, just up until we discovered we had a serious mould problem in one of our rare books storage rooms. We called In Harwell Support Services to assess the problem and advise us on how to treat it. Curiously the environmental conditions in the room are fine now, but it is thought that floods in the room in past years probably caused the mould to grow, and correcting the temperature and humidity did not kill it off. It’s a relief to know that Harwell can remedy things. They will come for several months in the summer and painstakingly work through the collection volume by volume, removing dirt and any mould. The entire space will be treated with air scrubbers to remove any stray spores. 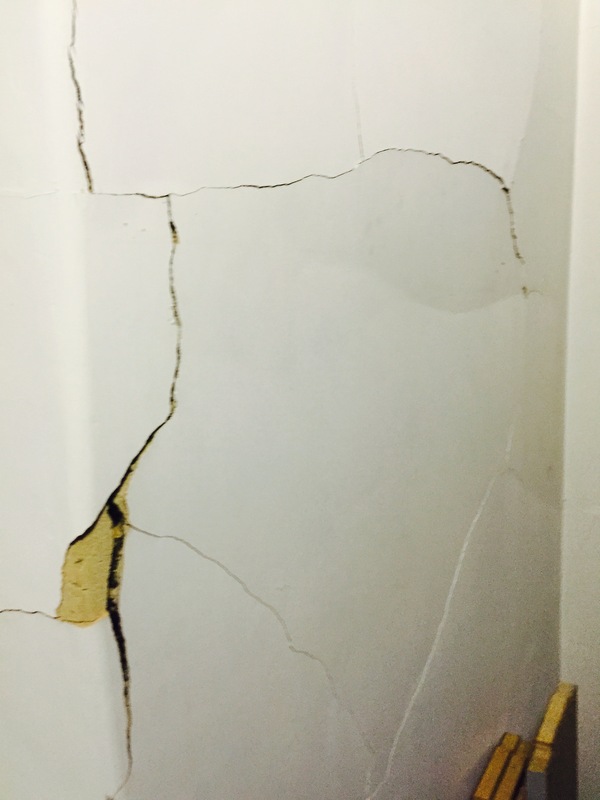 Just as we had dealt with this, the wall in one of our other stores developed a large crack. 2,500 books dating from the 17th to the 18th centuries on the history of the early church had to be moved out while the room was repaired, and then stored elsewhere until the relative humidity came down to acceptable levels. These books will also be cleaned by specialist conservators. On a positive note, we can now at least be sure that all the books will be clean before being moved to their pristine new accommodation in Cohen Quad. Normal blogging will now resume – unless other parts of this beautiful, but sadly crumbling, library decide to spring more surprises on us! Wow! Sorry to hear this but glad it can all be addressed!